The library of congress , loc.gov has posted online the Prokudin-Gorski photo collection of Russia from 1908-12. it has 2606 pictures some in color of the Russian Empire "before the Storm" as one might say. I found it mentioned on the great war forum and looked through it and I am sure most of us here will like it. I've seen his "Photographer To The Tsar" book/album. (Hope that's the right title.) It contains some of his color photos from that collection, but certainly not all 2606. Quite beautiful. Some of the shots of the central Asian regions look like they could have been taken yesterday ,with the sands, primitive buildings,and even male dress. Too bad he didn't photograph the IF in color. I look forward to seeing what the LOC collection has. 2,606 photos and none of the IF? Even though the Tsar himself commissioned the project? Impossible! Or maybe just incredibly frustrating. Possibilities? The P-G process of color photography was very cumbersome and difficult, requiring three cameras and took a long time. It is believed that he did take photographs of the IF, but they were kept by the family not part of the huge project Nicholas commissioned (which is why they aren't in the LoC collections.) The photographs of the Imperial Family were almost certainly destroyed and/or lost during the Bolshevik period, if they did ever exist. The same thing happened to the phonograph recordings OTMAA made for their Grandmother Marie Feodoorovna, who kept them in the Anitchkov and they have never been seen since. Make sense to me. Tragic really to think that these items were destroyed. Is the reason why we have so many photos of the family preserved because they appeared in their private photo albums that were kept with the family? What percentage of photos of the IF that exist to this day would you say were part of those albums? Those color photos in the Gorski collection I'm sure were considered rare and valuable and naturally kept separate from the amateur pictures the family took of themselves on a daily basis. But there are many other formal photos of the family that have survived. Is that because they were mass distributed, unlike the color photos, or is there some other explanation to why we have the black & white formals and not the Gorski colored ones? In other words...why weren't they kept together, and if they were, why weren't they all lost or destroyed? P-G kept the photos which are now in the LoC and took them into exile. The color ones were made expressly for the Imperial Family and were not ever reproduced or published. Levitsky, Boissonas & Eggler, Hahn, all had permission to reproduce the portraits of the Imperial Family for sale, which is why so many of them survive. Also, the color ones were the personal property of the Imperial Family and were not given out to other family members, or if they were, none went out of Russia into exile. The private albums we have are those that went to exile or made their way into GARF. You must understand that in the very early 1920s is was ILLEGAL to even possess a photo of any member of the IF. You could go to jail or Siberia or dragged to the street and shot if the Bolsheviks found any photo of the Romanovs in one's possession. 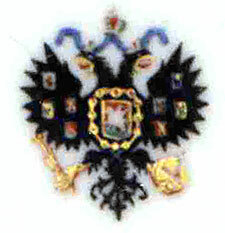 Nicholas II kept in his office in the Livadia Palace a red leather case containing two small slides in natural colors on glass by Prokudin-Gorsky. One slide was of Nicholas and Alexandra, the other of the family. These were sent to Moscow along with other valuables from the palace after 1917. Completely missed your response here FA. Thank you very much for that detailed and logical explanation! It is also mentioned in the introductory remarks to the published album of Prokudin-Gorski's works, that he did photograph the Imperial Family, but that he hid those photographs in a safe place before leaving Bolshevik Russia. Present location or condition is unknown. So it could still be out there somewhere. Wouldn't it be nice if someone found it. Given the fragile nature of these plates, corn starch on glass with nothing to hold the starch color on and the fact that it was illegal to possess any image of the Imperial Family during the Bolshevik and early Soviet era, the chances are slim. Hundreds of P-G plates from his studio were used to build greenhouses for food during the famine years. Sad what images were lost. The "greenhouse effect" shall we say also took place decades earlier in America after the Civil War. Thousands of glass plate negatives featuring photos faded beyond recognition by sunlight/exposure were sold to private and public gardeners. Sad to think how much was lost. Yet amazing was survived from the 1860s given how young photography was at the time and the conditions of the era. It's both depressing and thrilling that I possess tea packaging (Tsar Nicholas tea) that would have warranted a trip to Siberia.